A two bedroom ground floor purpose built apartment close to Cricklewood’s shops, bars and restaurants and Gladstone Park. The closest train station is Cricklewood’s Thameslink service. A two bedroom ground floor apartment with own section of the rear garden requiring modernisation. 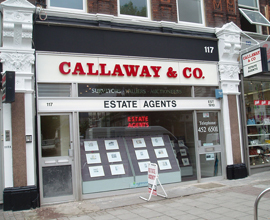 The property is close to the shops, bars and restaurants on Cricklewood Broadway. Transport links include Cricklewood’s Thameslink service and bus services. Local schools and the open acres of Gladstone Park are close by. A three bedroom first purpose built apartment with own section of the rear garden set close to Gladstone Park and Cricklewood’s numerous services and amenities including the Thameslink station and bus services.